A traditional method Cava made with a second fermentation in bottle at 14°C. Bottling is carried out in December using yeasts that have been selected over years by the team of œnologists and which bring individual character to this Cava. After 16 months of ageing on racks, the bottles are disgorged in the artisanal manner without any addition of liqueur de tirage. A bright, pale-gold colour. Fine, long-lasting bubbles. Fresh and very floral on the nose. Gentle citrus notes with touches of yeast, pastry and bread dough. 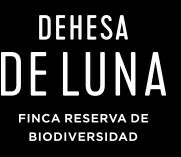 A Cava selected by the Bodega Dehesa de Luna technical team.